Board members and officers serve without compensation. Retired non-profit executive who has been visiting the park for 40 years. She and her husband have owned a cabin on Palomar since 1997 and often camped in the park with their four children. Now they visit the park with their nine grandchildren. Also has a background in journalism and fundraising. park system and an underutilized recreational destination for nature lovers in Southern California. We aim to heighten its profile in the community and make it more user friendly." California native, long-time resident of Palomar and former park employee at Palomar (as were her father, husband and daughter) and other California state parks. Now retired, avid horse rider and active in community organizations, both on Palomar and at Borrego Springs, her other seasonal home. "Palomar Mountain State Park has always been near and dear to me. I started camping there before I can remember. Making the weekend trip from Santa Ana and then from Carlsbad, my parents and grandfather fell in love with the place. When I was 4, they bought a lot on the mountain and started building the cabin that I live in today. Palomar is 'home'. 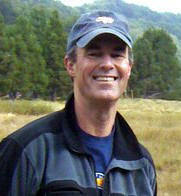 I am very happy and proud to be back serving PMSP as a member of the Friends of Palomar Mountain State Park board." San Diego native, 30-year veteran of the biotech industry with a focus on personalized medicine and specialty pharmaceuticals. Founded Prometheus Laboratories Inc., and Proprius Pharmaceuticals, Inc., and now serve on several private company boards. Married to my beautiful wife Christie for 20+ years and the proud parents of three fantastic teenagers. "Having grown up in San Diego and camping at Palomar Mountain State Park as a kid, and then later camping and fishing at Doane Pond with my own kids, I think we all realized how important it was to work to save the park from closure. Now, with the fantastic support of the community, we have an opportunity to really improve the experience at Palomar, for future generations." 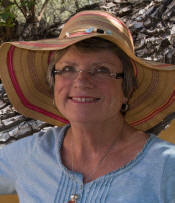 Fallbrook resident and practicing real estate attorney for 35 years. 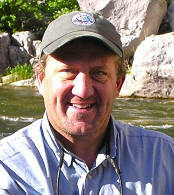 Married, skier and cyclist; skied and hiked extensively throughout the Sierras, Rockies, British Columbia and the Alps. 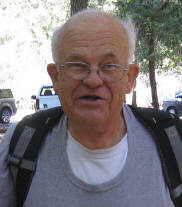 "I grew up in Escondido, camping with my family at Palomar Mountain State Park. It is an alpine refuge available to all in Southern California. I have always supported the park, and my will puts my ashes up there." Pauma Valley resident for 20+yrs. Grew up in LA area and visited Palomar since a kid. BS Earth Science '69, MS Environmental Studies '85 and extra classes. Was an Aerographers' Mate (Weather Tech) in Navy then worked with consulting and instrument companies and finished work with Escondido Parks and Rec. "Visiting the Park, enjoying the wildlands and variety of life, the peace and beauty is a peak experience. I especially enjoy being with our great Trail Maintenance crew, a mighty fine friendly bunch! And activities with "Friends of Palomar Mountain SP", a mighty fine group who, aiding the great Park staff people, will help keep PMSP open for all future generations to enjoy as a wildland to hike and explore, a place to camp and fish, connect with history and our beautiful world." Chuck Black grew up in North Carolina, and got degrees in Biology and Forestry at UNC- Chapel Hill, and North Carolina State. He got a PhD in soil science at Oregon State, and after that moved to take a job at San Diego State University. He worked in an ecological modeling group there for 15 years, and then founded his own small biological consulting firm in 1998. He currently works as wildlife biologist in the Department of Environmental Management at Marine Corps Air Station Miramar. Chuck lives with a pack of dogs, a flock of birds, and a school of fish in Hillcrest, San Diego, and enjoys weekends and holidays at his cabin on Crestline road which he has had since 1995. Walt Johnston camped for years with his wife Rosemary and their four children at state and national parks in California and Arizona. He recently retired after 40 years as CEO of Teague Insurance Agency of La Mesa and has been active with the USD Alumni Association for almost five decades. He loves outdoor photography and always brings his camera with him when he visits Palomar Mountain State Park, often with one or more of their nine grandchildren.